You may have noticed that some of the organizations and clubs that we have partnered with may be considered nonconforming in the sense that some are not AKC recognized, nor are they well known. Some individuals have recently questioned our integrity or intentions with these groups. In partnering, our only agenda is to promote healthy dogs and genetics education. We do not have any other agenda. Paw Print Genetics will accept samples from all dogs, regardless of breed, color, conformity to published standards, registered, rescued or adopted. We do not discriminate when it comes to promoting genetic testing and healthy dogs. As long as they don’t "meow", and their owner or breeder desires genetic testing, we will test them for the diseases or traits that they have ordered. Our customers know that all results are confidential and will not be discussed with any third party. 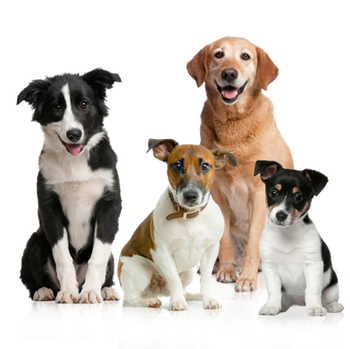 Paw Print Genetics is a trusted laboratory when it comes to disease testing for any dog. If you have any questions about our partnership with any particular group, please contact me directly at lshaffer@pawprintgenetics.com I am genuinely concerned about providing the best customer service and most outstanding genetic testing possible and learning from you is important to us.